I love starting my day with some caffeine — it helps wake me up, plus I tend to need a minute before I eat in the morning. I pack in plenty of protein to keep me filled and fueled, usually in the form of eggs, nuts, tofu, fish and plant-based protein. I eat out a few times a week — Jack’s Wife Freda has amazing poached eggs with pesto and the Saag Paneer from Nirvana is amazing, without flaw and my number one takeout choice. But I balance that with light choices like sweetgreen — try their Kale Caesar Salad. I sub the tomato for apple for a bigger crunch and it’s heaven! Between teaching classes at all over New York throughout the week, I try to find a balance between food that powers my day and the indulgences that keep me sane and happy. 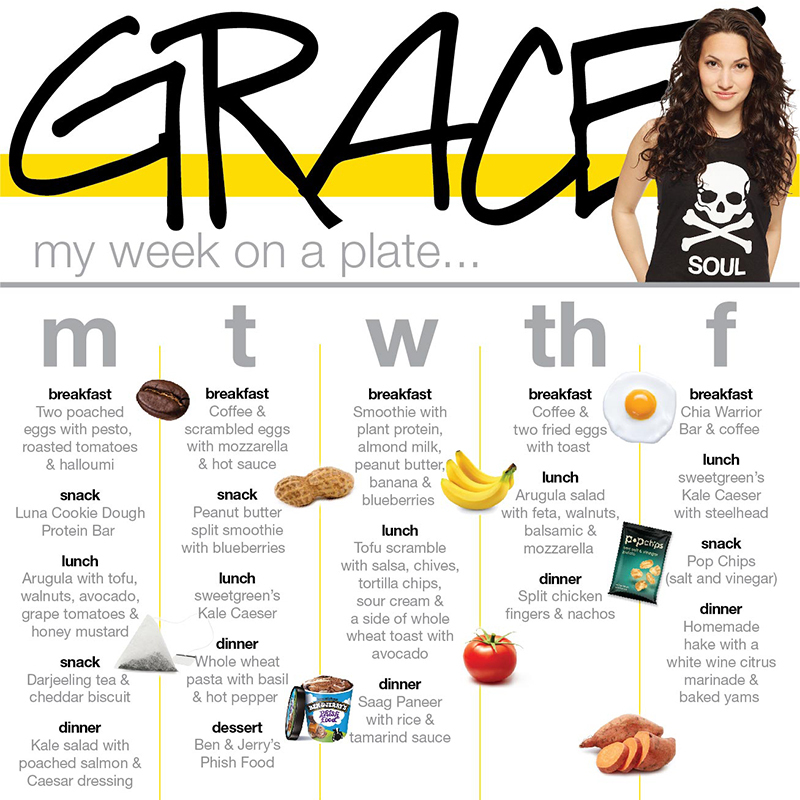 Catch classes with GRACE at SoulCycle Woodbury, West 77th Street and Chelsea! Questions or comments? Email blog@soul-cycle.com! Want to ride? Grab a series HERE and book a bike!